A fascinating book about math and its role in our lives. Discover what numbers are, how they help describe the world around us, and find out how brilliant mathematicians have changed the world. With humorous illustrations help to bring to life the history of mathematics and famous mathematicians. 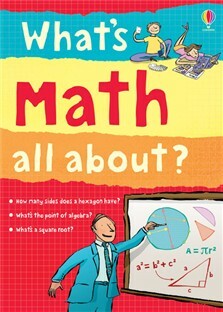 Covers a wide range of math topics, including algebra, geometry, charts and statistics.